First-of-its-kind research reveals legal technology executives’ views on sales and marketing strategies. 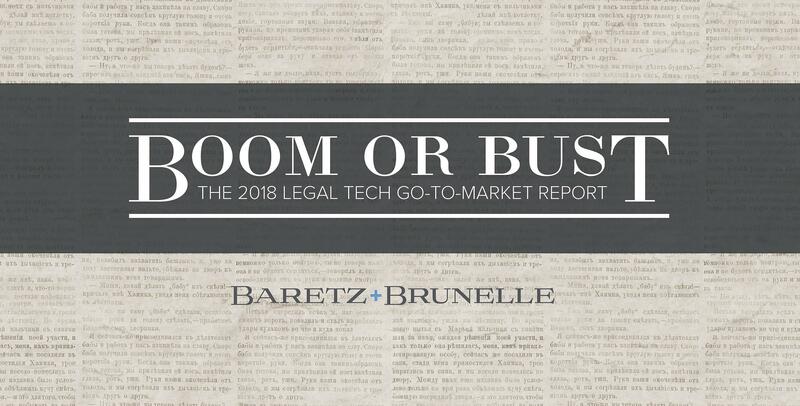 In January of this year, Baretz+Brunelle gathered executives from the world’s leading legal technology companies for a discussion about the state of the industry. The subject quickly turned to the industry’s challenges with “go-to-market” strategies. Curiosity piqued, we surveyed senior executives across e-discovery, artificial intelligence, legal research, and other legal tech firms. We hoped our study might produce insights benefitting the industry as a whole, and it did. But the actual results took us aback.